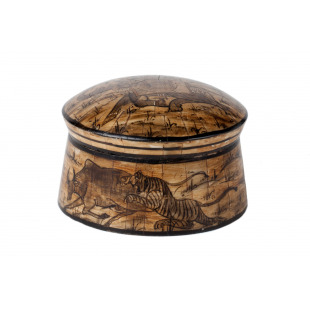 Beautifully hand painted antique camel bone box. 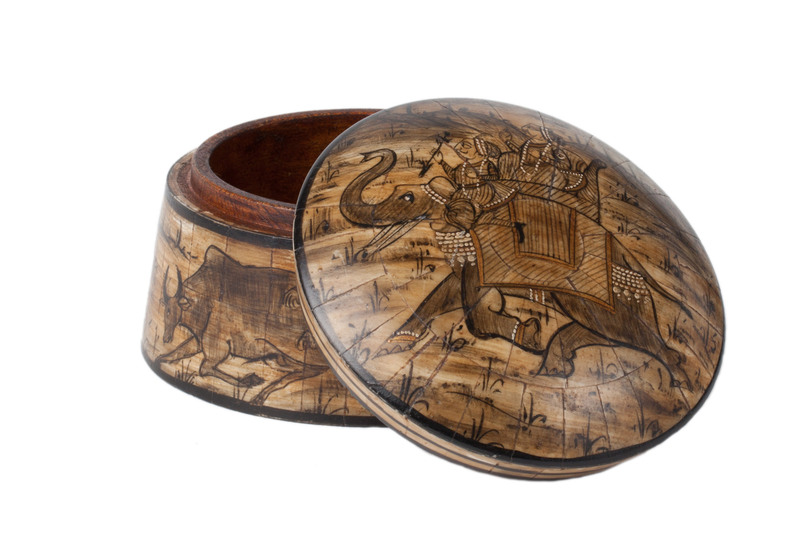 Decorated with images of kings and animals. 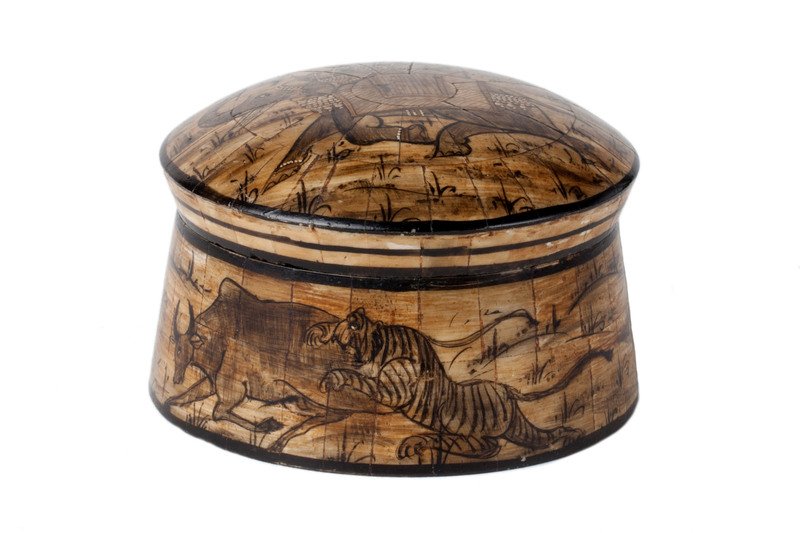 Exterior of the box is made with strips of camel bone, inside lined with wood. In excellent condition with no chips or faded areas.